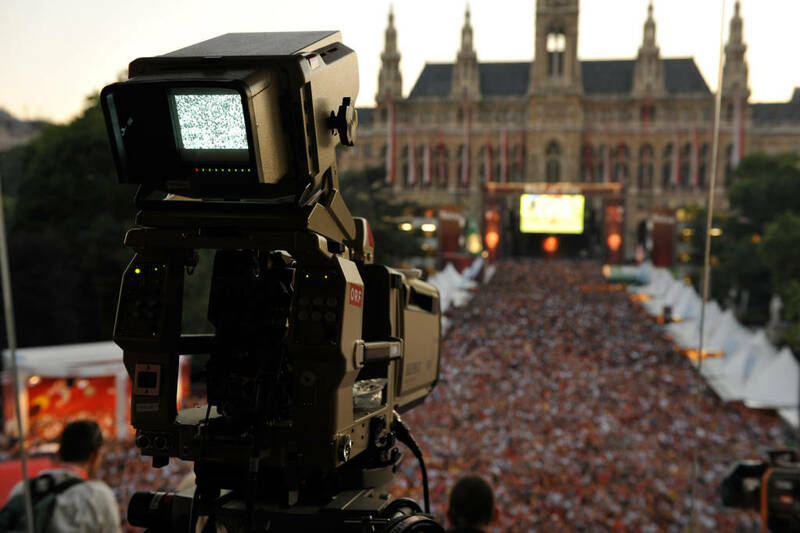 Austria’s leading broadcast channel ORF (Austrian Broadcasting Corporation) commissioned a temporary media hub as a central urban feature from which to live broadcast the 2008 UEFA football championship and provide a dramatic focal point for the capital city during the event’s coverage. 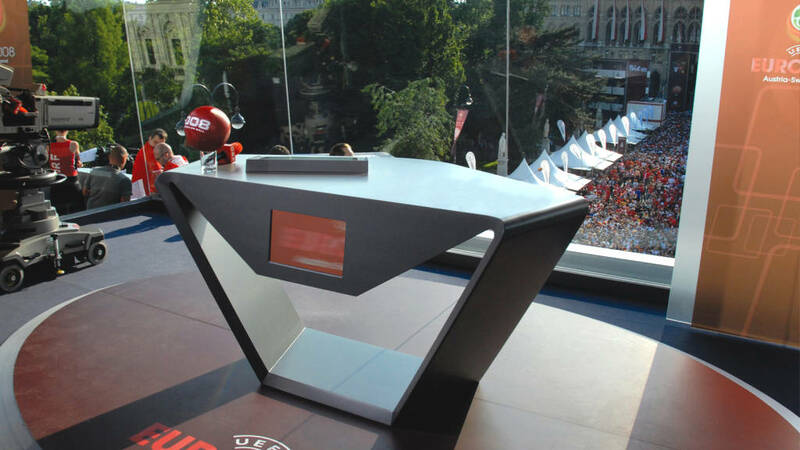 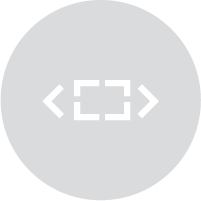 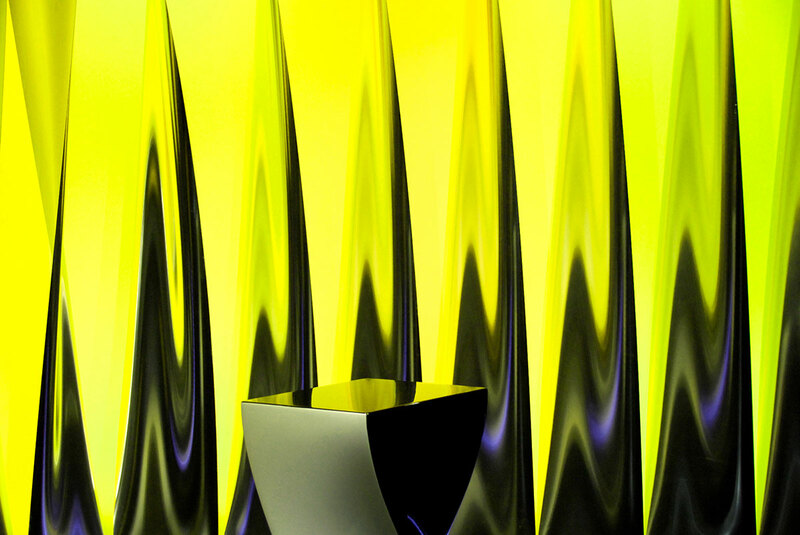 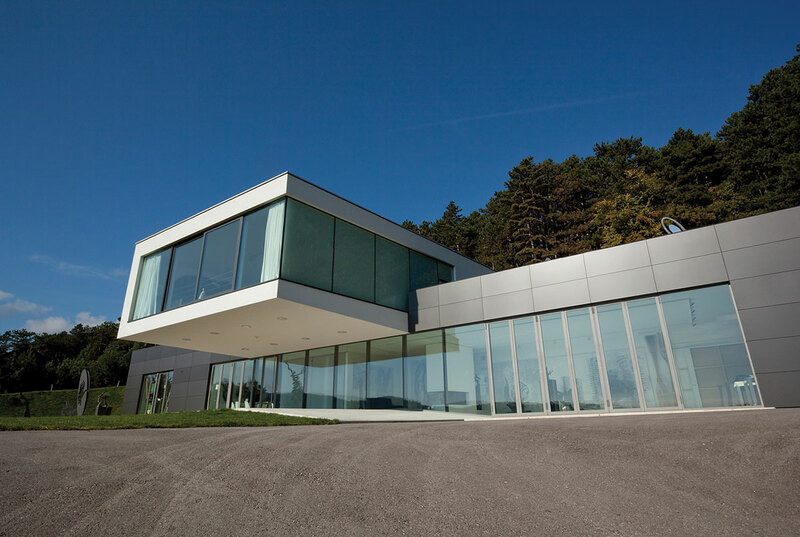 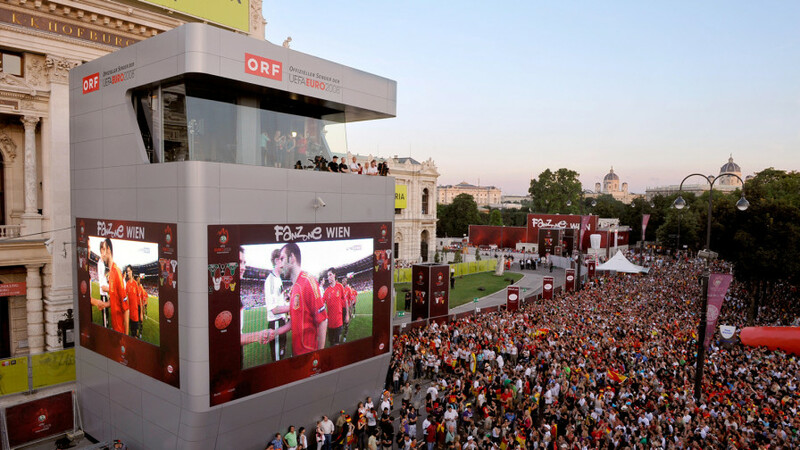 The ORF needed a statement building to act both as branding and as a live broadcast hub for the channel’s coverage of the four-week sporting event. 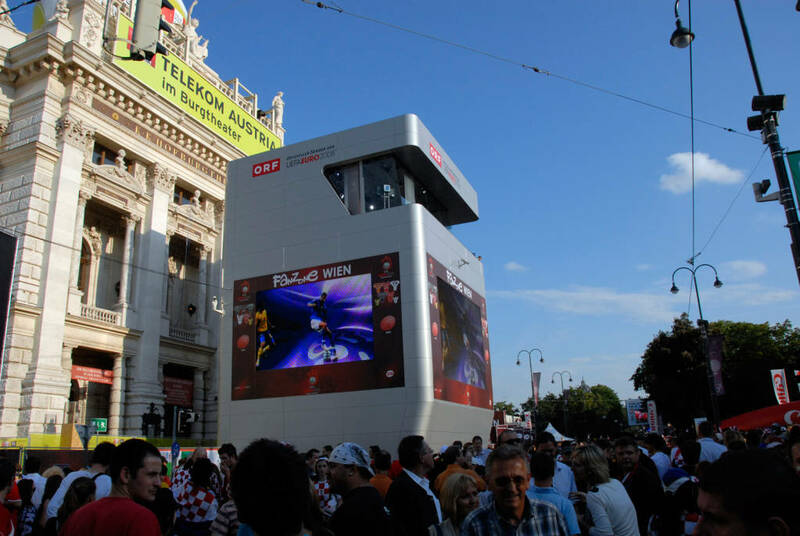 Located adjacent to the historic Burgtheater and opposite the landmark City Hall in Vienna’s centre, Veech x Veech’s response to the site – chosen strategically to offer an on-air backdrop of some of the city’s landmark architecture – was a 17.5m-tall Media Tower that incorporated a 60sqm HDTV studio, offices and technical spaces, as well as three LED video screens that wrapped around the structure to show live broadcasts. 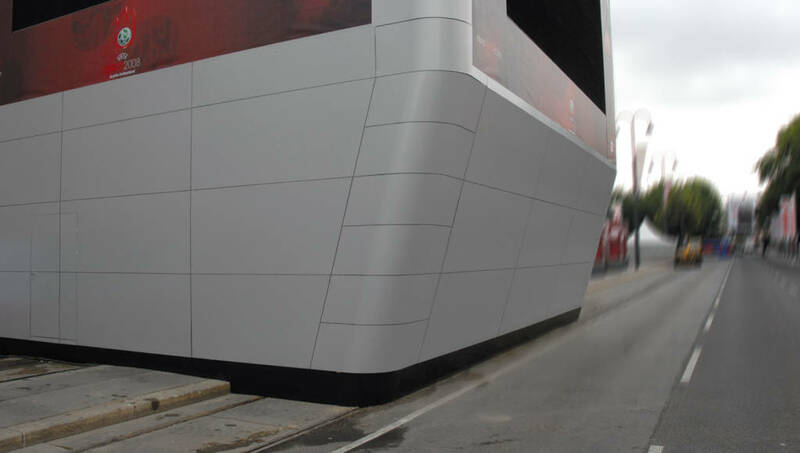 The office’s design for a modular tower was clad in Alucobond and provided a contemporary and dramatic contrast to the surrounding historic buildings. 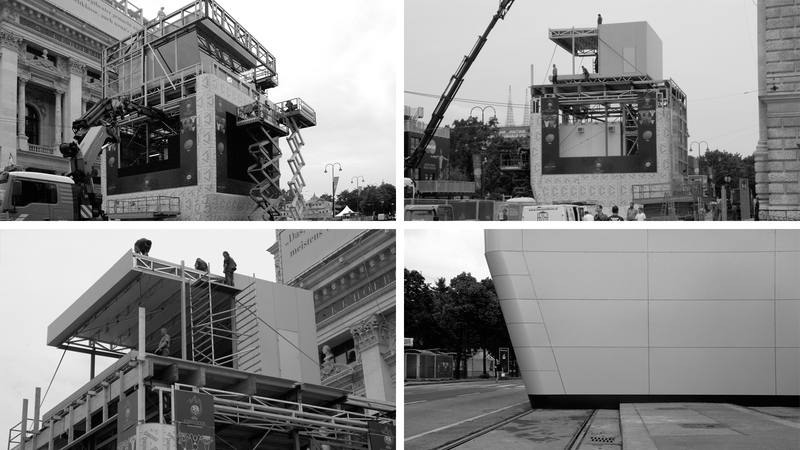 The site’s complex demands required the structure to be positioned on tram lines to enable the best position looking out over the plaza, meaning that the team not only had to create a powerful design, but also had to plan for complicated logistics to enable swift five-day construction. 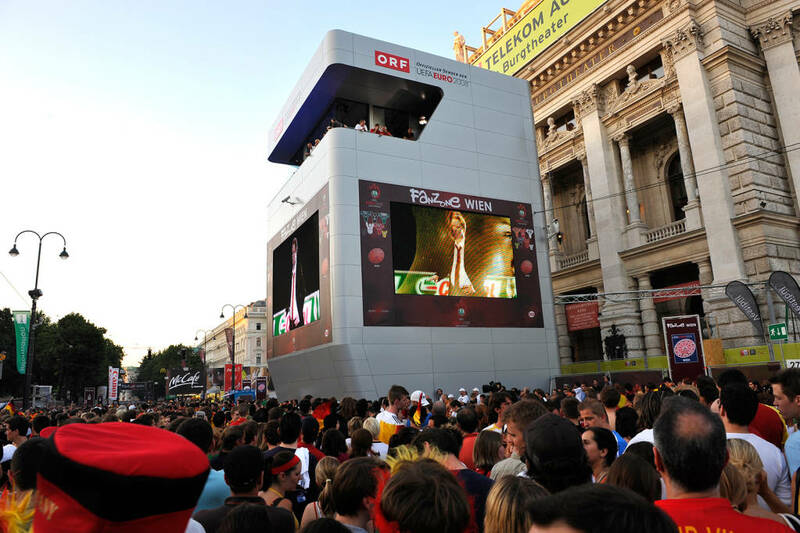 The building transformed the area into a public meeting point throughout a live media event.